The world of books opens the door to an amazing collection of new experiences and learning opportunities. Above all else of course reading is fun! Some children will be very keen on books, story time and reading from the word go, while others might need extra encouragement. We've put together some hints, tips and tricks to help you foster reading in your home and with your children. A great way to encourage children to read is to start young and to incorporate it into your routine. Bedtime stories are brilliant for helping to settle little ones and to nurture and grow a love of stories from an early age. As children grow ask them to read part of the story themselves or listen to them as they read page or chapters themselves (praising their efforts). Reading the same story three nights in a row might not be everyone's idea of fun however when it comes to keeping children engaged in their reading and story time it is important to let the kids choose. The Dinosaur That Poo'ed a Planet or Aliens Love Underpants are just two fabulous stories that will have children running for the bookshelves again and again. Do you have a place in your home where little ones can go to read or do they read in their rooms? A reading corner with beanbags and a bookcase, blankets and cushions is an ideal place for quiet and comfortable enjoyment. 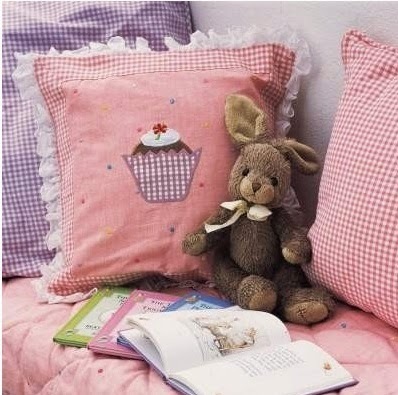 Not everyone has space of course for one of these magical reading havens however so wherever you all read make it special, even if it simply means pulling out a favourite blanket to snuggle up under or a special cushion to cuddle. Libraries are so much more family friendly these days with dedicated areas for children to read and play in, colourful furniture and child-sized chairs and tables to read at and more. Many libraries run special events for children throughout the year, including story time sessions where a member of staff will read to children. One much loved library event for children which runs every year is the Summer Reading Challenge. Libraries nationally run themed events over the summer and through which readers of all abilities from ages 4yrs upwards may earn stickers, rewards and more by reading six books (minimum) over the summer. More on this year's challenge will be featured on the Summer Reading Challenge website where kids can also leave book reviews and play games. It doesn't matter what children are reading as long as they're reading. If fact books are their thing, comics with descriptions, manuals or magazines as long as they're reading and enjoying it they are learning. Do you have any tips for encouraging reading? Did you read a lot as a child? We'd love to hear from you so feel free to leave a comment.